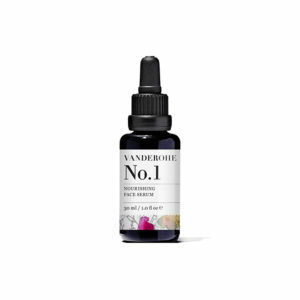 Vanderohe is a multi-correctional face serum made from the highest grade, certified organic cold-pressed oils. It is further enriched with 8 active 100% pure, organic and wild harvested, steam-distilled essential oils. Each oil has been carefully chosen for its unique skin-healing and mood-enhancing properties which nourishyour mind as well as your skin. Thanks to the synergistic reaction upon blending the oils, their properties become even more potent. Thus allowing the resulting serum to be balancing, anti-inflammatory, anti-ageing, moisture boosting and skin-strengthening all at once. 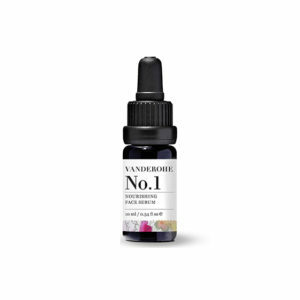 The serum has noticeable benefits in reducing redness, scarring and pigmentation. This unique combination of powerful ingredients, with its delicate and luxurious aromatherapeutic scent, has the ability to truly transform skin and relieve feelings of stress and anxiety.